Oral Perspectives is a virtual experience in which a user undergoes a series of situations that are both absurd and everyday. This primarily passive experience takes place from a visually, aurally and kinesthetically shifted perspective a few inches lower than the natural position, inside the user's oral cavity. 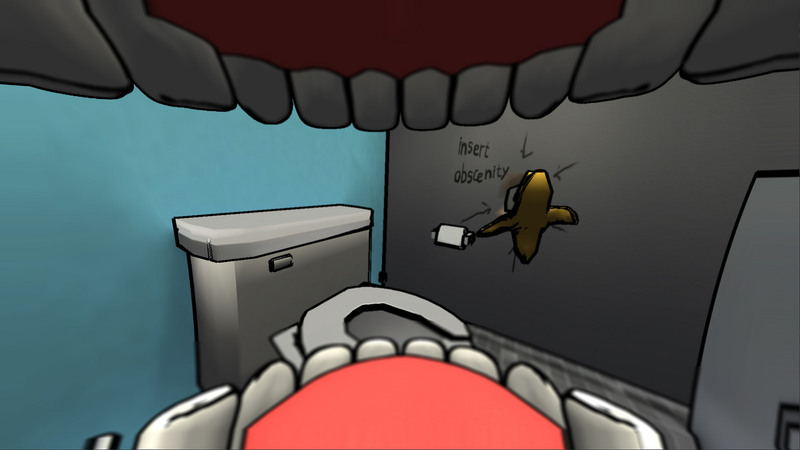 Oral Perspectives is intended for use with the Oculus Rift Development Kit, microphone and a custom-jaw sensor. The jaw sensor provides extreme discomfort as the user is motivated to maintain an open jaw position in order to receive sensory data outside the mouth. The excessive, over-the-top nature of the visual experience paired with the newest virtual reality headset and uncomfortable head-mounted jaw sensor suggests a love/hate relationship with novelty and our need for it. 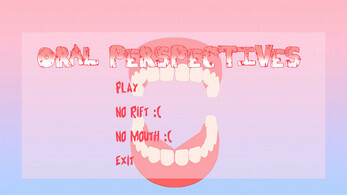 Oral Perspectives was created with Unity, Blender, Adobe Photoshop and Audacity. 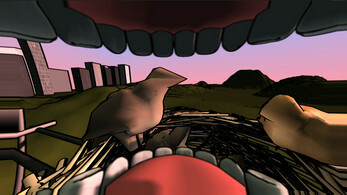 A list of other assets can be found here. The current version works with the Rift DK1/DK2, with contemporary headset support being improved at the moment. For those without the jaw sensor and/or the Oculus Rift headset, there are options in the menu to turn off the functionality, although this is not recommended. Read the Kill Screen Feature! when you hit the download link, click "no thanks, just take me to the dl"
This is without a doubt the strangest thing I've ever encountered. But that doesn't mean I didn't like it!! Here's my Playthrough of it, enjoy and stay rad everybody! !